Luckily those same cravings also have me making (and eating) salads frequently. Balance, right? 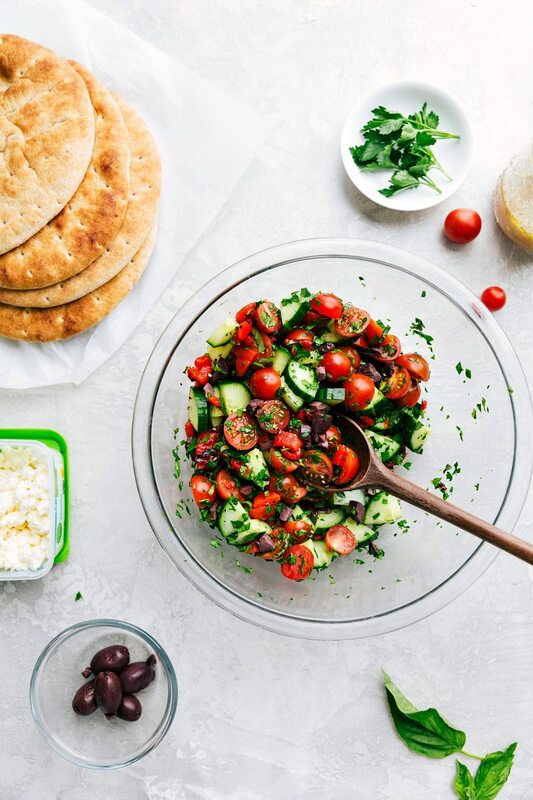 Read on for steps on how to make this chickpea salad as well as how to meal prep this recipe. 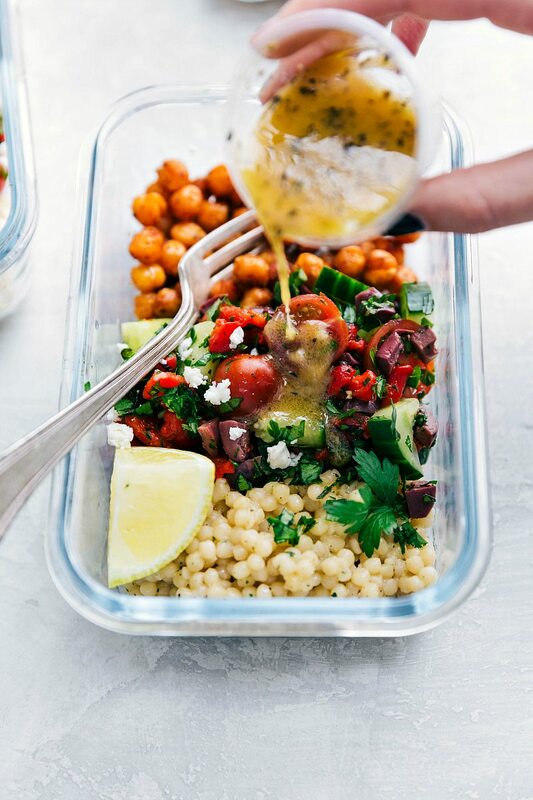 How do you make this chickpea salad? Prepare the dressing by adding all of the ingredients to a mason jar and shaking until combined. 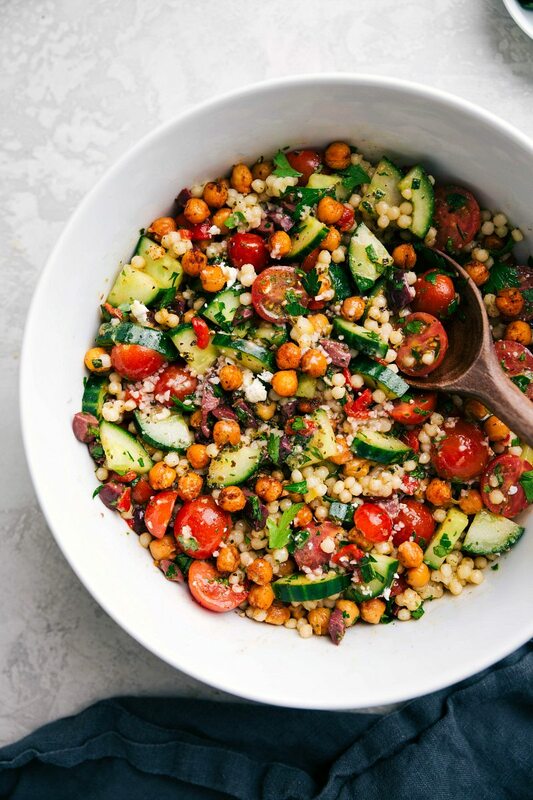 Chickpeas are perhaps a unique salad ingredient, but they’re delicious in a salad when prepared correctly. Can you put chickpeas in a salad? Although canned chickpeas are cooked and ready to serve, they are typically pretty bland. Roasting chickpeas in olive oil with a few seasonings is my “secret” to the very best chickpea salad. If you’re on the fence about chickpeas in a salad, you’ve got to try roasting them! Grab a few extra cans at the store because you’re going to be hooked! If you’re looking for other ways to use your chickpeas, you’re in luck, because they’re a very versatile food. What do you do with chickpeas? 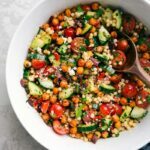 In addition to adding them to this chickpea salad, you can add them to this one pan veggie chickpea meal, turn them into homemade hummus, and/or make falafel! I mentioned this chickpea salad recipe is great for meal prepping; I’ll share more details in the next couple of paragraphs if you’re interested in prepping out this salad for 4 days of meals. How long does chickpea salad last? This salad will stay good for up to 4 days when refrigerated in an airtight container, when dressing is stored separately. This chickpea salad does not sit well for a long time with the dressing on it. Get 3-4 equal-sized meal prep containers, and 3-4 small containers for the dressing. You’ll want to store the dressing separately to avoid the salad getting “soggy.” You can buy bulk dressing containers, use dressing-sized Tupperware containers, or use small snack-sized plastic bags. Prep the couscous first. While the couscous is cooking, prep the veggies. The veggies get chopped up and divided equally among the containers. Finish it off with salt + pepper, a wedge of lemon, parsley, and feta cheese! To enjoy each day: add the dressing and olives, squeeze the lemon over everything, stir together, and eat! 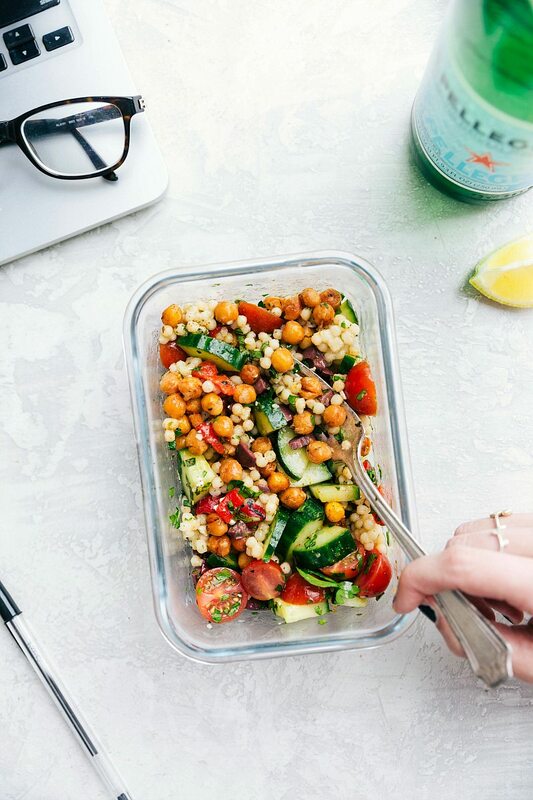 This chickpea salad is packed with flavor, made with good-for-you ingredients, and easy to prepare! 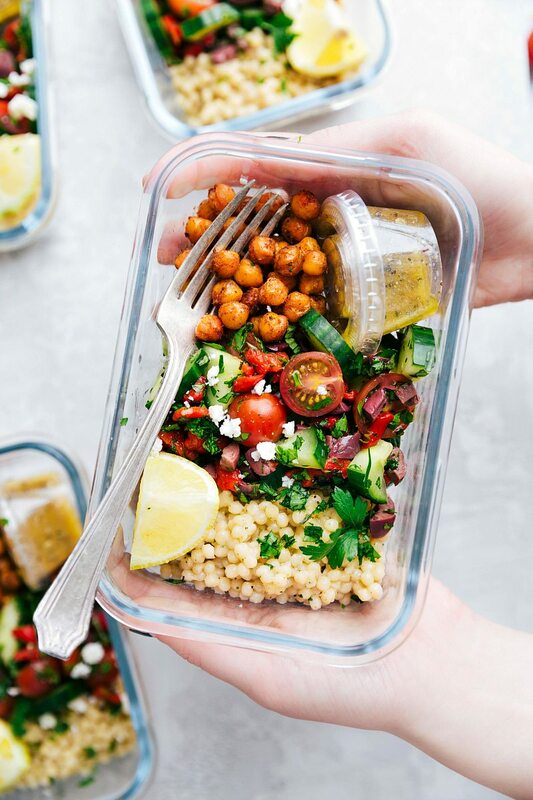 Plus tips on how to make this chickpea salad into the perfect weekly meal prep. Preheat oven to 400 degrees F. Line a baking sheet with with aluminum foil. 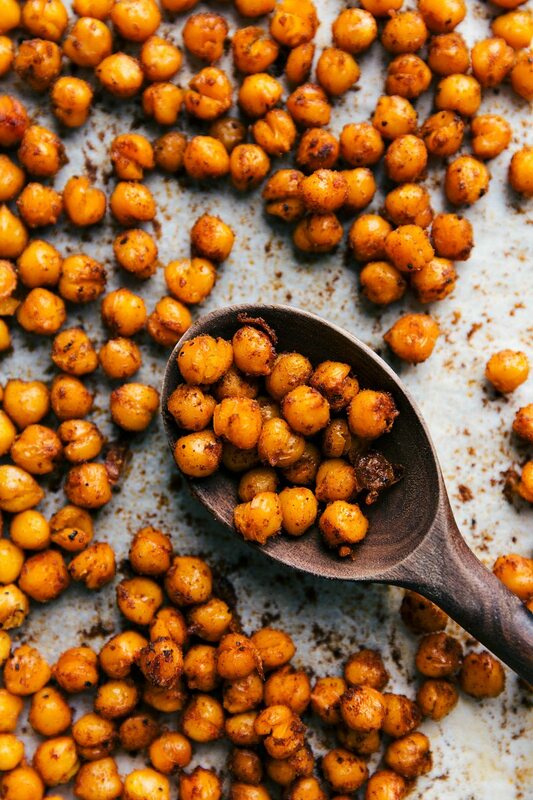 Place chickpeas in a bowl, add 1 tablespoon olive oil, cumin, chill powder, cayenne pepper and salt (I add 1/4 teaspoon; add to preference). Toss well, making sure chickpeas are evenly covered with spices. Spread chickpeas in an even layer over baking sheet and bake for 25-30 minutes, tossing about halfway in the cooking time, until they are crisp. Let them cool completely before you add them to the salad. Prepare the dressing by adding all of the dressing ingredients to a mason jar: 4 tablespoons olive oil, lemon juice and zest, red wine vinegar, honey, dijon mustard, and dried oregano (I add about 1/2 teaspoon salt and 1/4 teaspoon pepper, but add to your personal preference). Seal the jar and shake until combined. TO SERVE AS A SALAD: Add the prepared couscous to a large bowl and allow to cool. Add in all of the veggies and cooled chickpeas. Add in some feta cheese, freshly squeezed lemon, salt and pepper to taste, and the dressing. Only dress what you will enjoy as this salad doesn't sit well for a long time with the dressing on it. TO MEAL PREP: Divide the dressing evenly into 3-4 small containers. Divide the couscous evenly among the meal prep containers. Next add in equal parts of all of the chopped veggies and chickpeas (again, keep olives separate). Add a lemon wedge, some feta cheese, and cover everything with some salt and pepper. To enjoy, add the dressing, squeeze the lemon over everything, stir together, and eat! Chickpeas are rich in both protein and fiber. One cup of chickpeas contains 50% of an average persons’ dietary fiber needs. Studies show that eating chickpeas regularly is associated with greater weight loss success. For more information on how chickpeas may aid in weight loss, visit this post. Are chickpeas high in carbs? 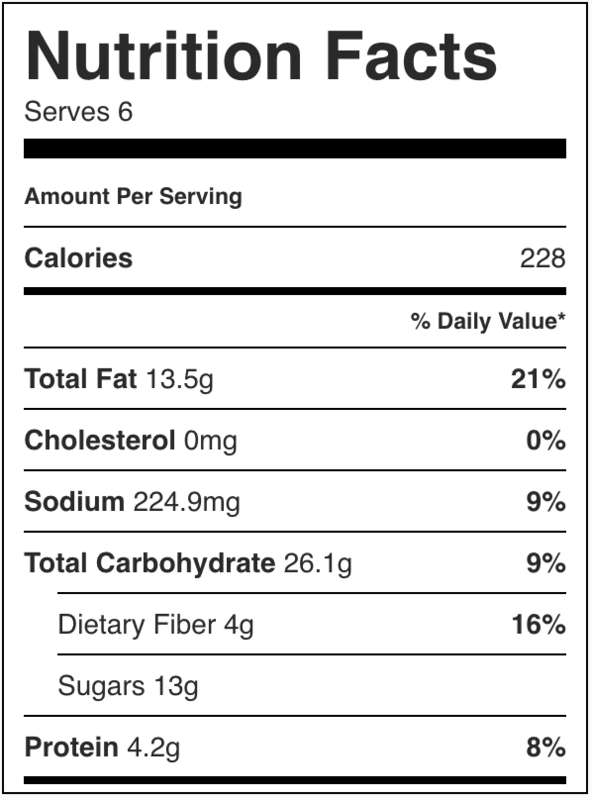 Chickpeas contain a fair amount of carbs. Depending on your dietary needs/goals, you may be able to include small amounts of chickpeas on a low carb diet. If not, you may want to replace the chickpeas with grilled chicken or another low carb protein source. Chickpeas are a type of legume. The USDA Food Patterns classifies chickpeas and other beans as a subgroup of the vegetable group. However, because of their high protein content, they can also be considered part of the proteins group. Because chickpeas have so much protein, they make this chickpea salad especially filling! Are canned chickpeas good for you? Canned chickpeas are good for you, but it is important to buy a good brand. Make sure the brand you are buying is BPA-free, and check the sodium content. While canned chickpeas contain similar levels of fiber and protein, they may be lower than dried chickpeas in some vitamins and minerals. This chickpea salad calls for canned chickpeas, but dried will work — just cook them through first! See this post for more information on the differences of canned and dry chickpeas. This looks so good! Perfect for meal prep, oh and I LOVE chickpeas. I meal prepped this last night. Great for lunches. Wasn’t a fan of the dressing. Tasted too much like lemon. I used a olive oil vinegrette instead and it worked well. Did you add the 4 tablespoons of olive oil? It doesn’t mention it in the actual list of ingredients but explains to add the remaining olive oil in the directions. I was confused at first. I replaced the couscous with quinoa and it was fantastic. The whole family loved it. Excited to try this recipe! What can I use as a substitute for red wine vinegar? Also, is there a store bought dressing I could use to replace homeade? I hope you love it! I don’t know of any lemon store bought dressings unfortunately. You can use white wine vinegar in place of red wine, although it will taste slightly different. This was excellent! I was skeptical when I tasted the dressing by itself, but when mixed in, all the flavors came together really well. Thank you!